With just over 1 million people living in Dallas, Texas, the city has a good selection of places to buy and sell coins and other forms of bullion. If you are in the market for gold and silver then we have selected the best three stores to visit in order to get a great deal and meet with some friendly and knowledgeable staff that can help you out. Walnut Gold and Silver, Inc. While only being on the scene since 1980, Walnut Gold and Silver have quickly built up a reputation as a strong player amongst the city’s precious metals line up. With interests that range from buying and selling scrap jewellery and estate goods, they also deal in high-end watches and diamonds. They offer a free evaluation if you are thinking about selling your silver, or just want to get it valued so that you know your options. Due to the fact they are ready and waiting to buy many forms of gold or silver, they are also a good place to go to pick up some more precious metals for your collection, thanks to their ever changing stock. The Dallas Gold and Silver Exchange actually have a few stores around the city and the state, giving you even more opportunities to pay them a visit. They offer a wide range of goods including bullion, watches, fine jewellery, diamonds and rare coins. When it comes to their selection of silver goods they have a few of the most popular coins, such as the American Silver Eagle $1 coins. They also stock a range of silver bars in a variety of sizes and weights to suit all budgets. If you want more affordable silver, the Dallas Gold and Silver Exchange has pre-1965 coins that are 90% and 40% silver, from before the US Mint stopped using silver in mass produced legal tender. 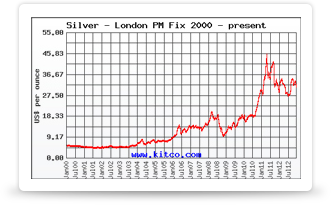 If you have silver or other precious metals you wish to sell, DGSE can help you out here too. Sales can be completed at any of their eights stores so wherever you are in the state, you shouldn’t be too far away from one of them. With 20 years in the same location, Dallas Rare Coins can list many happy Texans as their customers over the years. They are first choice for many when it comes to both buying and selling coins and other forms of bullion. There are experienced staff are on hand to answer any queries you might have, and the store is a welcoming environment, even for the first time shopper. If you are in the market for some silver to kick start, or add to your already established collection, then this Dallas coin shop should be on your list of places to visit.